Yes, Sofia has great public transportation, but taxis are still very popular here because they are both cheap and convenient. 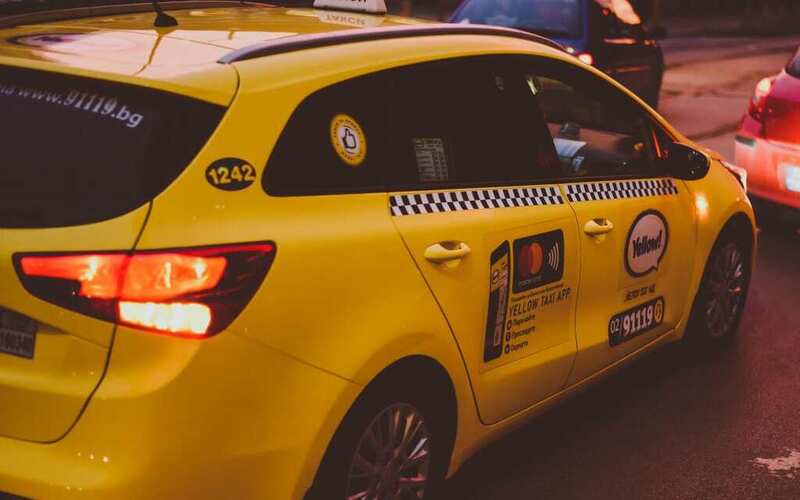 Regulated by the city, you can feel safe and secure hopping into any of the nearly 5,000 Sofia taxi cars and vans operated by a number of different companies, provided you follow the common-sense safety steps outlined below. Whenever I’m in the city, I take taxis frequently. And while I’ve run into each of the four kinds of scams listed below, I’ve successfully gotten away with not letting the scam driver win. Most of the taxi drivers I’ve met here are kind and great at their jobs (one even refused to accept a tip! ), but I know how to get out of a taxi jam if need be. With this guide, you’ll know how to stay away from taxi scams too. There is only one official taxi company authorized to serve the Sofia Airport – OK Supertrans. These cabs are bright yellow, with a giant blue OK on the hoods of the cars. They’re lined up outside of both Terminal 1 and 2, so there should almost always be one waiting patiently for you after your flight. I’ve never had an issue when leaving the airport and chancing the first cab in the Sofia airport taxi line, but I’ve had friends with some horror stories of grabbing a taxi from the wrong company or getting a random unauthorized taxi and getting charged 10x as much (yes, 10!) so these are the steps you should follow if you want to ensure a smooth ride. If the thought of this stresses you out, you could always organize a transfer. This is the cheapest option we found; at 25 euros for a group, it’s definitely more costly than a taxi (which should be around 8 to 10 euro / 15-20 leva tops), but for peace of mind it may well be worth it! The biggest issue with Sofia airport taxi scams come from drivers working outside of their shift or off-meter. This is less of a problem at the airport than during a normal ride, but I have heard of this happening a few times at the airport. To avoid this, skip anyone asking if you need a taxi to Sofia city center in the hall. But don’t leave the terminal just yet. Instead, find the taxi booth for OK Supertrans and request a ride directly with the office. There’s a small surcharge (.70 leva, which is 35 euro cents) for booking a taxi ahead of time, but you’re guaranteed to have a registered ride. If there are any issues with the taxi ride, you can call the office and complain, as they’ll have details of both your car number and driver. This makes it much less likely that your taxi driver will try any funny business. You’ll need to give it to your driver also, but this way they know how long the ride should take and an idea of the cost. This is also good because the office will usually have an excellent English speaker on staff, whereas some of the drivers don’t speak any English. You can make sure they know the address you want and you can iron out any issues with the address here at the Sofia airport taxi stand. If you don’t have Bulgarian leva yet (which you can easily get from the ATMs in the terminal), ask the office for a car that accepts credit cards. Most do, but it’s always a good idea to double check ahead of time. And by the way, for those who don’t know, the Bulgarian leva is roughly fixed to the euro so that 2 leva equals 1 euro. So 200 leva = 100 euro, 100 leva = 50 euro, etc. Get your paper from the office with your assigned cab number, and exit the terminal to find your taxi to Sofia city center. Keep this piece of paper in case there are any issues. Keep an eye on the meter, but don’t stress. If you’ve registered your ride with the company, you’ve eliminated the primary opportunity for taxi issues. When you pay, the price on the meter should be the correct price. There’s no baggage surcharge like in some countries like Spain. The driver will most likely help you with your bags before expecting you to pay. Round up to the next leva at a minimum. It’s typical to add one or two leva for rides under ten leva, and two to three leva for rides under twenty leva. 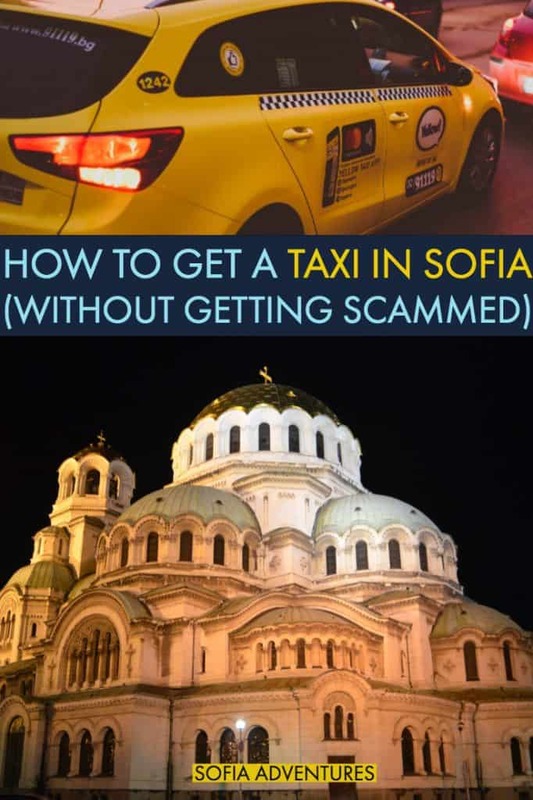 Most likely you will never take a Sofia taxi ride that cost more than twenty leva (even from the airport) that isn’t a scam. Rides from Sofia Airport to the city center take roughly between 20 and 30 minutes (depending on traffic). A taxi will range between 9-18 leva, with nine being the costs to neighborhoods closer to the airport like Iztok. Traffic, exact location, and time of day affect the rates. For example, the cost to get to an apartment near Serdika station ranges from 12-17 leva. A ride from the airport to a southern neighborhood like Strelbishte costs around 15 leva. As long as you’ve registered your ride and you keep a friendly eye on the meter, you can be confident that you’re paying the right price. Throw in a couple of extra leva, and you’re good to go. Because the Bulgarian leva is pegged to the euro, you’re looking at a taxi ride of at the very most about 10 euro to get anywhere in the city from the airport. That’s a pretty great way to start your time in Sofia! You could also book a hassle-free transfer for about 25 euros. If this is too much, of course, you can take the metro from Terminal 2 for 1.60 leva ($0.80 euro). The metro ride from the airport to city center takes about 40 minutes. You’ll have to transfer via the free shuttle bus if your flight arrives at or departs from Terminal 1, as it’s not walking distance. The bus leaves outside the terminal near the taxi stands and runs approximately every 30 minutes between 7 am and 7 pm, and can be arranged free of charge outside these hours by requesting it at the Information Desk inside the terminal. Keep in mind the Sofia metro is closed between midnight and 5 am so if you have a late night flight you will either have to take a taxi or wait at the airport until the metro reopens. There is a slight variation of costs between companies, but for the most part you’ll see prices of about 0.70-0.90 leva pickup charge, 0.70-0.9 leva booking surcharge (if you call on a phone or order via an app), and about 0.80-0.90 leva per kilometer. You’ll get the cheapest rates from Panda Taxi, but the variation is so small between companies that there’s no need to go out of your way to find a Panda Taxi (just grab one if you have to get a taxi in a taxi line). Sometimes for very short distances, drivers will try to negotiate a flat rate with you instead of using the meter. It’s always better to use the meter. The driver is either hoping to get you to pay more or they don’t feel like the short drive is worth their time. In this case, negotiating 5 leva for a cab ride that might actually be 3 or 4 leva might be pragmatic (and don’t tip in this situation). However, if someone offers you a flat fee of more than 5 leva, insist on the meter. If they refuse, then walk away or get out of the cab. You can use this online calculator to estimate your fare. You can also get fare estimates from the taxi apps listed below. Also, make sure to check your change closely when your ride is over. Some drivers don’t scam their rides, but I’ve been offered incorrect change a few times. Tipping Sofia taxi drivers is encouraged but not required. The recommendation is to automatically round up to the nearest leva, then add 1-2 leva for trips under 10 leva and 2-3 leva for trips under 20 leva. You can tip more for good service/carrying bags if you desire, and you can tip less or nothing for bad service. Here the driver “forgets” to turn on the meter and when you remind them to, they’ll tell you it’s broken. If you don’t argue, they quote you a price at the end of the trip that is double or triple (or more) what the real price would be. If a driver forgets to turn on the meter or the meter is broken, do not go with that driver. If you’ve already started the ride, then tell the driver to pull over. Do not go with a driver with no meter and no pre-negotiated rate for any reason. Get out of the cab, and do not pay them anything for the distance you did go. There was never a registered ride, so there’s no way they can retaliate against you. This one is where the taxi has a meter that magically jumps up in price randomly instead of ticking along at a normal pace (usually because the driver hits a button discretely), resulting in double or triple prices. If the car gets shut off and then restarts, watch for a huge jump! Arguing this results in the driver showing you a fare list and claiming this is their company rates or night rates, etc. This is the rarest scam, but also the most infuriating to experience. If you see this, stop the ride. If you think it’s happened to you, have the driver pull over. Pay what you owe, and then call or order a new cab. This is most likely to occur only in cabs that are completely independent, so get away from them as quickly as possible. These are the most unscrupulous drivers in the city. Here the driver quotes a flat rate to someone they think won’t know the real rates. This is often triple what the real rate is. The driver is assuming you won’t know that Sofia is a strictly meter-run taxi city, and they are hoping you’ll think it’s normal to negotiate. If the rate is under 5 leva, then they’re probably just quoting you a small rate because the real rate (between 2 and 4 leva) is low enough that they don’t want to lose their place in the line. In this situation, go ahead and take the fare. Just don’t tip, and you’ll end up paying pretty close to what the real rate would have been. However, if the flat rate quote is higher than 5 leva, either insist on a meter or find another cab. Taxis that look like main brand taxis, but have different (super-inflated) rates. Listed rates are double or triple normal rates. They rely on you thinking you’re getting into a reputable brand taxi and not checking the price list. The most common off-brand is a play on the OK Supertrans brand. OK Superplus, OK Superauto, or anything other than OK Supertrans is a scam. Because the “Supertrans” is written in Cyrillic, this can be harder for foreigners who don’t read Cyrillic to spot. You may want to write down the Cyrillic for Supertrans (Супертранс). Read it carefully, as a lot of the fake Supertrans have one half of the word. We’ve seen Сититранс, Супертранс, Суперплюс… and now you see why we suggest writing the real Cyrillic down! This can only happen if you’re getting flagging a taxi down or getting one in a line of taxis, since you’d never run into these guys if you’re ordering your taxi directly from the right companies. Often, these are the taxis waiting in line outside popular spots, like Vitosha Boulevard. However, if you do find yourself having to flag a cab on the street, check the price list. If any of the listed prices is over one leva (per KM, wait time, or pick-up fee), then exit the cab immediately. Don’t go anywhere with them. You can see the posted rates on the window and the dashboard. These cabs will often keep the windows rolled down to keep you from seeing the window rates. However, you shouldn’t go anywhere in a taxi until you’ve personally scanned the rate list. Rule of thumb: everything from a reputable company will be listed under one leva on the price list. If you see prices above one leva, they’re techinically legal up to 1.60, but respectable companies don’t charge these rates. The easiest way to avoid taxi scams is to only take rides that have been registered with the company. At the airport, that means using the booths to book your ride ahead of time. If you arrive in Sofia by bus or train, we recommend you take taxis from the Central Bus Station as only OK Supertrans are authorized to work there and it is less likely you will be scammed. The Sofia train station is a 3-minute walk from the bus station. In the city, you can either order your taxi by calling ahead or using a taxi app on your phone. If you’re at a restaurant or bar, you can have them call a taxi for you. When booking a taxi, it’s required that you give your drop-off address. In addition to the safety benefit, it’s critical to call ahead if you want to pay with a credit card. 1. Scan the price list when you get in and make sure every price is below one lev. 2. Keep a friendly eye on the meter. Most Sofia taxi drivers are nice guys doing honest work, so don’t panic or be overbearing here. Just make sure the meter starts when the ride does, and that it ticks along at a normal pace aligned with the prices. 3. Don’t get lost in your smartphone. Stay alert and aware of your surroundings in the taxi so you know that you’re going directly to your destination. If you feel like something is wrong here, use Google Maps (silently) to follow along with your route. 4. Check for all your belongings when you leave. 5. Carry small bills with close to exact change, unless you’ve prearranged to pay with a credit card. If a driver doesn’t have change for a twenty or fifty, break it at a corner store or other shop. Alternatively, you can usually pay with a credit card even if you haven’t called ahead as long as the credit card logos are on the cab, but sometimes these machines are legitimately broken. Having exact fare is also helpful in case you do end up being scammed. 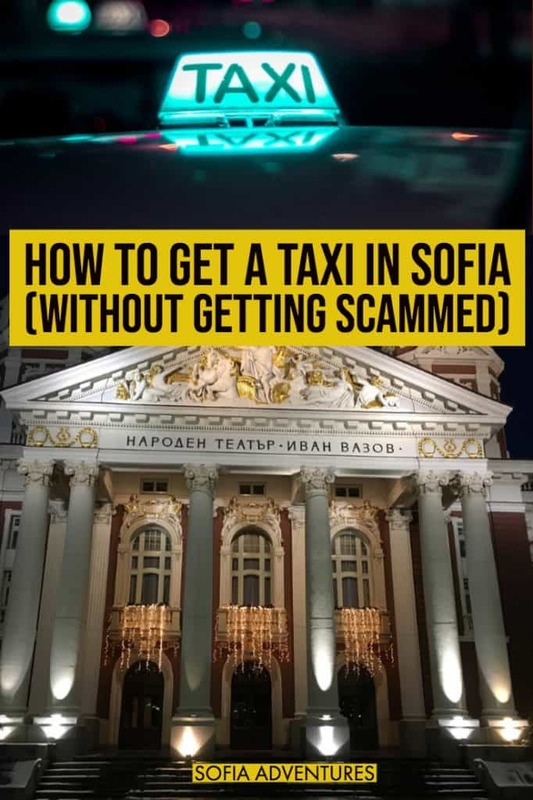 Each of the four most common taxi scams in Sofia can be avoided with a little bit of planning, common sense, and awareness. 1. If you know what the price should be, using exact change, pay what the fare should be, and refuse to pay the exorbitant rate. This works best when you know what the right rate is. Tell them what you know the rate should be, give them the right rate, and walk away. (If they show you an inflated price sheet, technically the price is legal but you got in an off-brand cab. In this situation, I personally have walked away and been fine. However, you’re technically legally obligated to pay at this point and we would suggest you move on to step two or three). 2. Threaten to call the police if they don’t correct the fare, then pay what you think is fair and walk away. If they don’t threaten to call the police themselves, you can bet that they won’t do anything if you walk away. 3. Demand a receipt and have them explain the rate to you. If you find their explanation lacking, tell them what you will pay and try to get them agree to it. This works best if you’re willing to drag this conversation out as long as it takes to get it corrected. Threaten to call their office (or actually call). If they show you a price sheet with high rates, then you’re technically in an off-brand taxi and you’re legally obligated to pay. I have walked away in this situation and been fine, but I’ve heard stories of taxi drivers getting violent. These all work best if you have small bills on you. If you need the scam driver to make change for you or take a credit card payment, you’ll be out of luck. Your driver may also not speak English or pretend not to, which could get in the way of you arguing your way out of paying the inflated taxi fare. However, if the stress of arguing the rate is more harmful to you than paying the scam rate, then just pay the scam rate and walk away. Chalk it up to a lesson learned, and be more vigilant next time. Also, if your driver is acting violently or you are scared, pay the rate and walk away. This company is a reputable one, great for taking rides in the city. The only time you can’t use them is coming from the airport or bus station (although you can take them to the airport or bus station since that ride is not under contract). Call ahead to order or download their comapny app. The app will let you book rides, estimate fares, and let you track where your taxi is en route to you. This app will also tell you who your driver is and the cab number ahead of time. If you come from the Sofia airport or Sofia bus station, this is the only official taxi company to use. Therefore, most tourists in Sofia will use this company at least once. Make sure to register your ride, since this is the most copied company in the city. As long as your ride is registered, you should have a smooth trip. Again, check for the Cyrillic (Супертранс) if you want to be extra sure. Panda Taxi is the cheapest in the city, and therefore are the least likely taxis to be copied. It’s a good second or third option if you’re out and have to grab a taxi without ordering first. However, you can also call ahead or book online. The first thing many people ask when traveling to Bulgaria is if there is Uber in Sofia, or if not, if there is Lyft in Sofia. Unfortunately, the answer is no. Worse, because Uber used to be here, a lot of the old articles about Uber being available here haven’t been corrected yet. The jist of the story is that Uber was here once upon a time, in 2014, but the ultra-powerful taxi lobby got them kicked out in 2016. The Uber Sofia Twitter account has been quiet since the shutdown. Because of this, I wouldn’t expect to see any ride-sharing services in Sofia any time soon. When Uber was here, the reviews were mixed. Some people felt that the rides were better, but most reported that were not cheaper than the taxi rates. The main benefit of using Uber was knowing that your ride was being monitored and recorded, and therefore there was less of a chance of being ripped off by a random unscrupulous driver. However, even without Uber or Lyft, you can still use taxi apps to fulfill many of these same functions. You will still find drivers smoking in Sofia taxis. Sometimes this means they will be smoking in between rides, but sometimes they will smoke during your trip. Typically, the driver will ask if it’s okay to smoke while he’s driving you (and he may even offer you a cigarette). If your driver is smoking and you’d like to smoke as well, go right ahead. If you want to smoke in the cab and your driver is not smoking, you can ask. Most drivers will not be offended by the question, and will just tell you a simple yes or no. Getting a taxi on New Year’s Eve is extremely difficult, so prepare to pay more or wait for a long time. Order a cab an hour ahead of time, at a minimum. If you get a taxi on the street, prepare to pay double or triple. Expect flat rates to be quoted, and expect that you’ll have to pay them. Otherwise, plan out your public transit routes ahead of time and know how you’ll get home after public transportation closes for the night. Otherwise, just factor the increased fare into your budget for the evening. Budget: For a hostel, I always recommend Hostel Mostel. I have never stayed at the Sofia location but several of my friends have and have always spoken highly of it. I stayed at the one in Veliko Tarnovo and it was excellent. Perks include a free vegetarian dinner in addition to breakfast included in your stay! Check rates and availability here. If you are traveling in peak season, be sure to book online, as Hostel Mostel is popular and tends to get booked up. 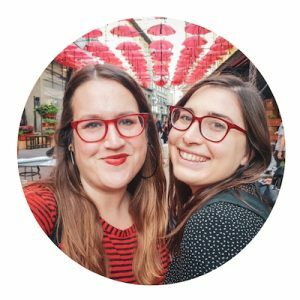 Planning a Trip to Sofia? Don’t Forget Travel Insurance! Any Questions about Taking Taxis in Sofia? 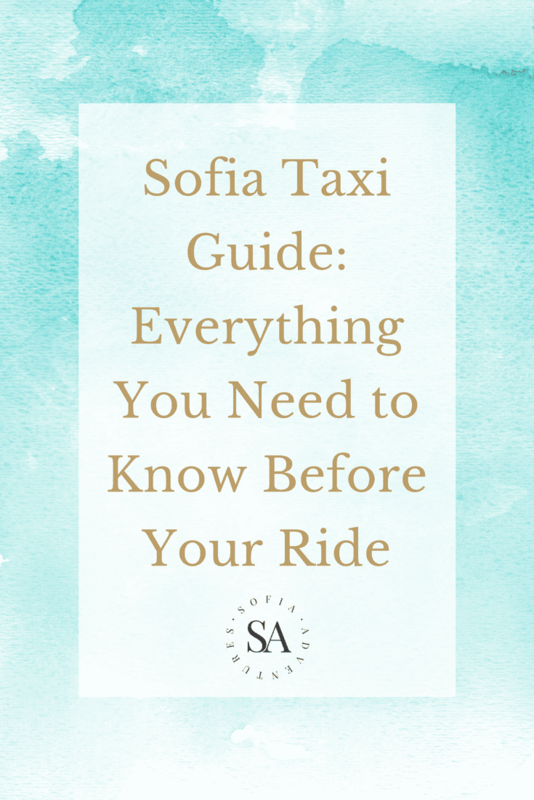 We’ve tried to answer any question that you may have about taxis in Sofia here. However, if we’ve missed anything, leave your question below! We’ll answer you and then update the article for future readers. We are about to travel to Sofia with kids aged 5 and 8. Will car seats be needed and are they provided by the taxi? We won’t be able to bring ours on the plane. Thanks! Hi Martina, no, car seats will not be provided, but they shouldn’t be needed!